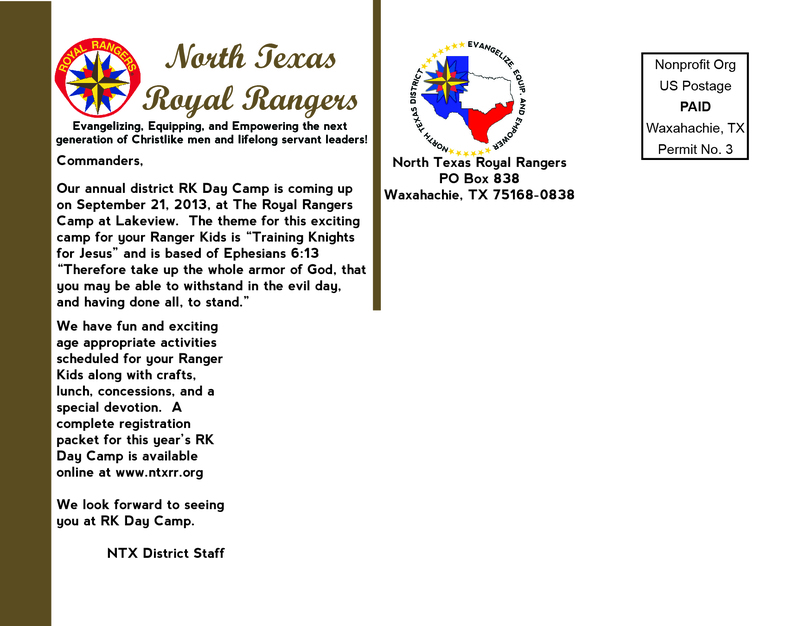 This postcard I created for the 2013 Ranger Kids Day Camp, held annually in September. 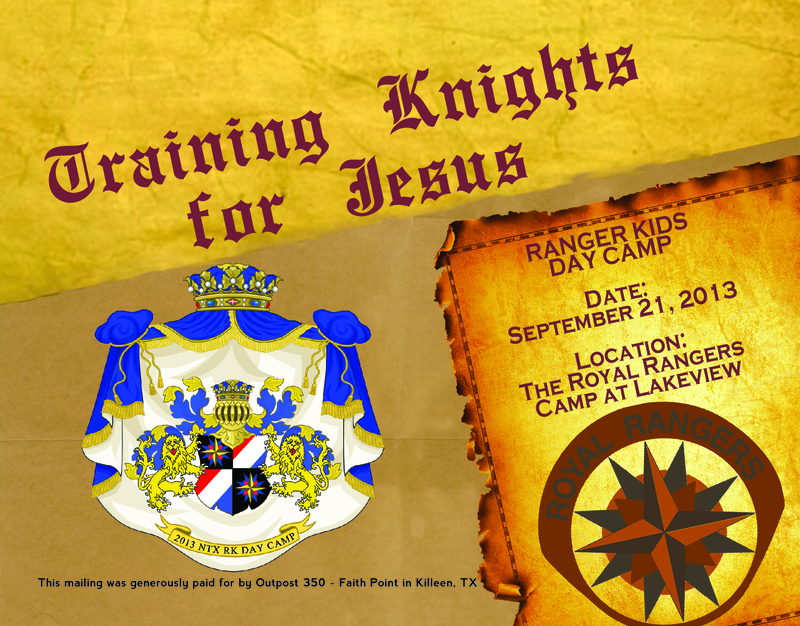 The theme for the day event was “Training Knights for Jesus”, a medieval theme. Drawing on the theme for inspiration, I created a custom coat of arms, which was used throughout the branding for the event. I utilized different styles of parchment to break up the design into different sections and utilized a calligraphy font for the theme.